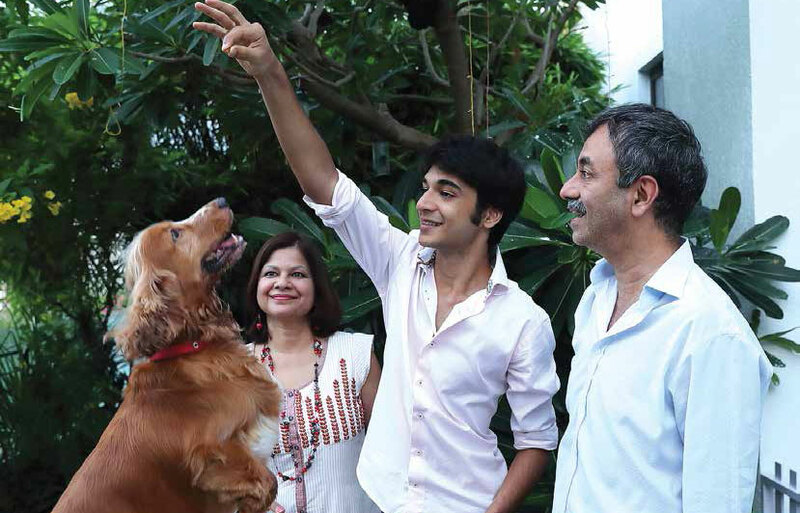 Penned by Manjeet Hirani, How to be Human: Life Lessons from Buddy Hirani is about drawing inspirations from life and nature. We humans don’t live by the rules of law of nature and have a lot of dos and don’ts. We live by dogmas and rules made by the society, religion, priests, government, parents and teachers. It’s a very transparent book and every chapter is an inspiration with some spice of life. It’s a very easy read and can be read by any age group, pet lovers and non-pet lovers too. This book is based on Buddy’s life and the inspiration we can draw from it. He is a living master in the house. Watching Buddy grow, I started making observations and drawing parallels between his life and ours. He was close to nature and lived life in the most natural form, the way it is meant to be. I found that very fascinating and started writing blogs based on my observations. I put up three posts and wrote some more for the future. The idea of a book dedicated to Buddy began taking shape in my mind. I want to thank Buddy, who made me a writer and a philosopher. He has also taught me love and tolerance towards other creatures on this planet. Being a hopeless dog lover, I always wanted a pup. However, this yearning was never fulfilled because of two reasons – the first was that our apartment was too small to accommodate a dog. And secondly, dogs scared the living hell out of my mom. My dad needed a dog for his film PK. The team found the archetypal dog – ears longer than his face, sad droopy eyes, and a white patch above his nose. He became Nikku—the Cocker Spaniel in PK. Over the next few days, the crew fell in love with him. Soon, Nikku became Buddy. He was renamed because I didn’t want to be reminded of the depressed dog in PK. I am both proud and hesitant to say that mom’s love for Buddy might be greater than mine. After all, she is writing her first book on him. Buddy is happy at most times. He does become sad when he doesn’t get enough attention or if he’s left alone for a long time. But the beauty is when he meets you again; he greets you with same energy and does not hold any grudges. I love this attribute of his and am trying hard to inculcate it in me. 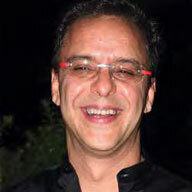 For him, happiness is his second nature as he simply lives in the moment and understands the power of NOW. There is no regret of the past and no worry of the future. It’s all about celebrating the current moment and spreading joy. He is overall quite obedient and disciplined but there are moments when he gets into rebellious mood. He does not budge and becomes ferocious. It’s a task to handle him. I find similar behaviour in teenagers too. We have to deal with them very tactfully and delicately. I have covered this in the ‘Rebellious’ chapter of the book. Buddy is a fitness freak and takes care of his health very well. He has meals at fixed times in measured quantity. This helps avoid overeating. He drinks plenty of water throughout the day and runs up and down in the house. This keeps his metabolic rate very high. He is very particular about his morning and evening walks, especially his walk post dinner. He stands near the door to be taken out. He is very particular about cleanliness and hygiene too. Manjeet’s book reinstates everything I have ever felt about my pets. It made me realise that my goal in life is to be as good a person as they think me to be! How to Be Human: Life Lessons from Buddy Hirani is her story, but it could very well be yours or mine. A candid, heart-warming portrait of a dog coming of age and the shenanigans he gets up to with his human family. Buddy shows us how we can take life less seriously and pursue happiness truly. I have six dogs, and I firmly believe that they are better than humans in many ways. They are the best buddies in the world.